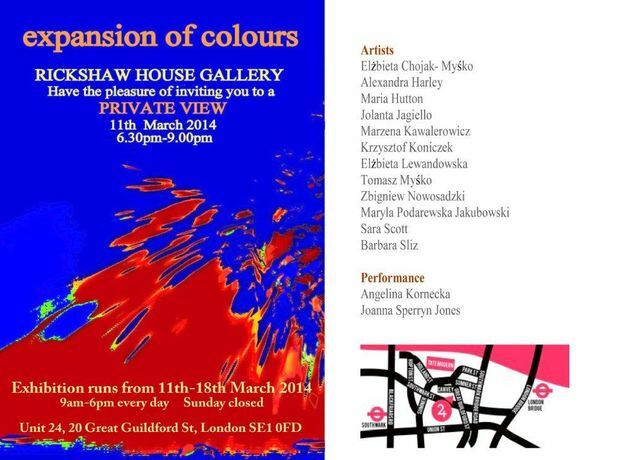 Once again Rickshaw House Gallery is organizing an art exhibition in an unusual location. Unit 24 is located next to the Tate Modern in London at number 20 Great Guildford Street, SE1 OFD . The location is usually used for business, but the art presented completely changes the meaning of the place. 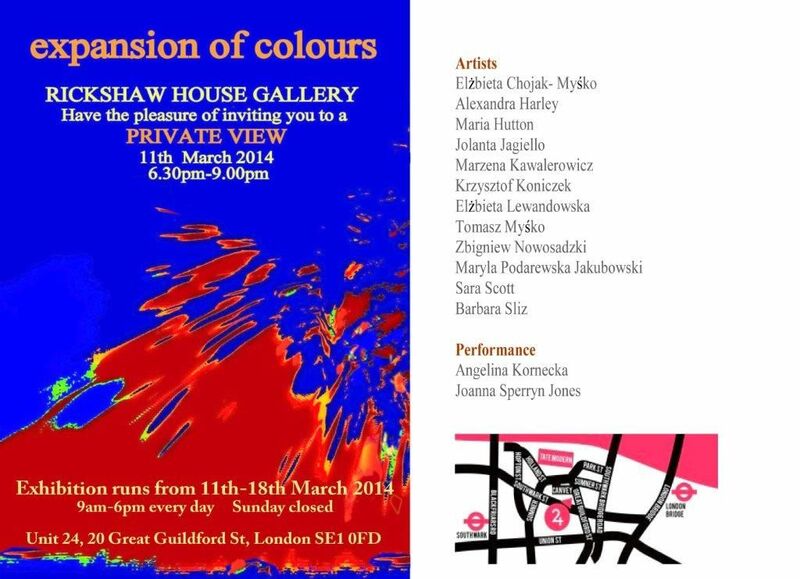 The second exhibition of the series "Colour" will open March 11, 2014 and will last until 18 March 2014. Rickshaw House Gallery is an organizer of international exhibitions involving the participation of artists from around the world. It promotes contemporary art. Artists exhibited in this gallery work with a variety of materials, including recycled materials. They are not constrained in conveying their message, they go beyond standards and break protocols. Static art and dynamic installations are displayed together. The aim of the organizers is to provoke interaction in the arts by presenting works from a variety of cultures, traditions, religions and styles. The curators of the Rickshaw House Gallery chose artists who present an expansion of colour in the visual space.